What are the Survival Rates for Pancreatic Cancer? Research for pancreatic cancer is making strides, helping scientists and physicians understand this disease. The more that is learned about it, the better the chances of finding a way to prevent or even cure it. Unfortunately, at this time the outlook for pancreatic cancer survival rates is not very optimistic. Pancreatic cancer ranks fourth amongst the causes of cancer-related deaths. It is considered one of the worst forms of cancer with some of the lowest survival rates; however, it is among the least funded areas for research. The term “survival rate” refers to the amount of people who survived for a specific amount of time after their initial diagnoses. The survival rates may be grouped by each stage of the cancer, or by median or average statistics. For pancreatic cancer, the typical time span is based on a five-year period. When using the stages to define pancreatic cancer survival rates, stage I and II are divided into category “A” and “B.” Stage I “A” and “B” designations refer to the tumor size. Stage II “A” and “B” refers to what extent the cancer has spread. In stage IA pancreatic cancer, the tumor size is less than 2 cm (about the size of a peanut) and has a 37% survival rate. In stage IB, the tumor is larger than 2cm and the survival rate is 21%. In stage IIA, the cancer has spread to organs close to the pancreas, but not to lymph nodes, and the survival rate is 12%. At stage IIB, cancer has spread to close lymph nodes and possibly close organs; the survival rate is 6%. In stage III the pancreatic cancer has spread to the major blood vessels, and has possibly affected the close lymph nodes. The survival rate for stage III is 2%. In stage IV the cancer has spread to the other organs like the liver, lung(s) and abdominal cavity, and may involve the lymph nodes and tissue around the pancreas as well. The survival rate at this stage diminishes to 1%. Statistical figures for the “median” average show that after the pancreatic cancer is diagnosed, only 2 people out of 10 will live at least one year, and less than 4% will survive past five years. The statistics regarding the survival rates for pancreatic cancer are poor at best. This is largely due to the anatomical position of the pancreas and the lack of noticeable early-warning symptoms. Usually, by the time a person starts to experience symptoms, the cancer is rapidly spreading. Almost two-thirds of the people diagnosed with pancreatic cancer are already in stage IIB or stage III. This late-stage discovery will narrow the options for treatment significantly. Factors that impact survival rates include whether or not the tumor can be removed, the stage and amount of spread, and a person’s general health. It is important to remember that statistics are a generalization and cannot possibly predict what will happen with each person’s situation. Everyone has different circumstances, and they should talk with their doctor about the specifics of their individual case. 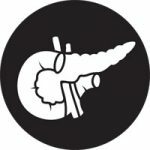 What is a Pancreatic Pseudocyst? What is a Pancreatic Abscess? What factors affect Pancreatic Cancer Survival Rate? To provide reliable, up-to-date and easy to read information about pancreatic cancer. Copyright © 2019 Pancreatic Cancer Treatment.